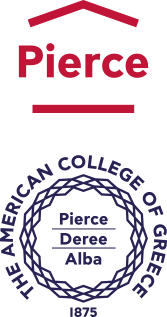 Tap into our thriving network of more than 55,800 ACG (Pierce, Deree, Alba) alumni – former students just like you, who are making their mark on their communities and are often leaders in their chosen fields worldwide. Together, we form a vibrant community of alumni, who help one another through mentoring, networking, sharing information on jobs and internships, as well as through volunteering and giving back to our community. Connect with us on ACG Connect to share your news, catch up at reunions and networking events, enjoy alumni benefits, and, much, much more.